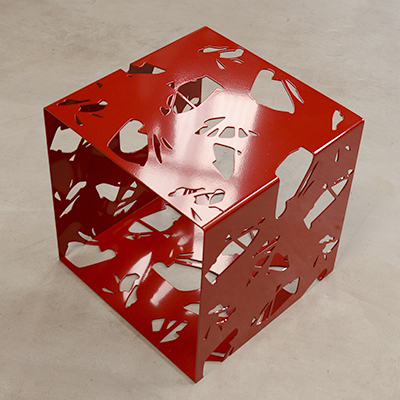 Red Canopy 2 Stool / Table [KK_Canopy2_ Stool_Red] - AUD $489.00 : Kif and Katast, a new contemporary design space featuring our in-house range alongside the works of local & international, established and emerging artists. 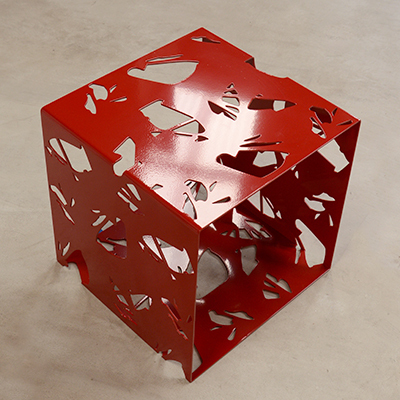 This red Canopy stool / table is surprisingly sturdy and comfortable. It is available in a range of colours. The stools are made from either 304 or 316 Marine Stainless Steel, with a lightly textured, powder-coated finish. 304 is suitable for all non marine environments. In order to select colours, sample swatches are available. Please contact us via email - kif@internode.on.net or by phone: (03) 9529 2011 to arrange for this. Freight Cannot be calculated by the on-line store freight calculator due to size - please contact us for confirmation. Lead-time Immediate delivery / Up to 6 weeks if the piece is not in-stock.